From 1 to 101 we help you celebrate. Is it a surprise? Not a problem...our lips are sealed. We can bring the cake and hide your liquor in our refrigerator until the big day arrives. Just let us know how many candles to bring for the cake and we’ll be there for you. 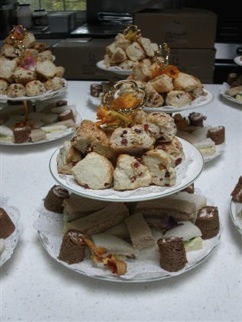 Bettina’s Custom Catering, Inc. is well versed in tea parties. 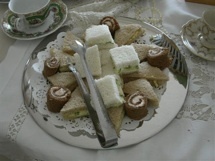 Mini scones, fruit tarts, petite cookie bites and tea sandwiches are just some of the components of a perfect Afternoon Tea. 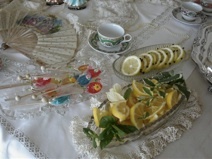 When served on an antique set of Lenox China the tea party is exquisite! 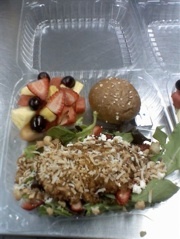 Enjoy a box lunch at a business meeting or have them delivered to your bridge group. 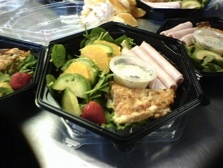 Bettina’s will deliver tasty box lunches with great eye appeal too! 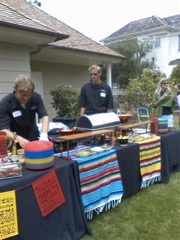 One of our most popular menu items is our Quesadilla Station. 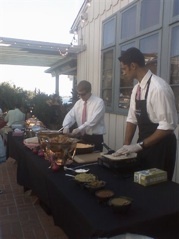 Our personable staff will cook quesadillas to order for your guests. 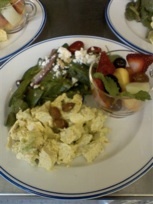 Traditional guacamole and house made salsas will have you shouting....Ole!! 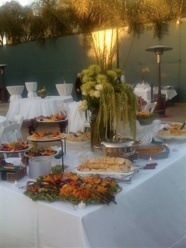 Corporate luncheons, private party luncheons, box lunches, sack lunches...we love to “do lunch” Give us a call for a quote on your favorites...from sandwiches to full buffets we are happy to customize a menu for you. Your assistant doesn’t do coffee.......but we do! 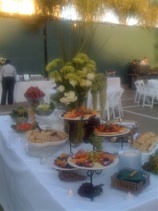 Continental Breakfast, Hot Breakfast....we’ll set the alarm and be ready with the coffee when your guests arrive. 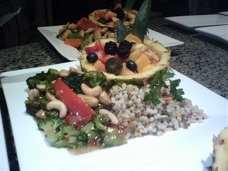 At Bettina’s Custom Catering, Inc. we offer a variety of menu items to satisfy requests for special meals...vegan, vegetarian and gluten-free are just some of the special menus that we have served. 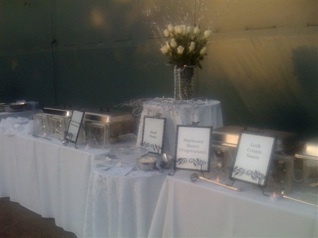 We strive to make every bride and groom’s wedding reception their personal “Academy Award” production. 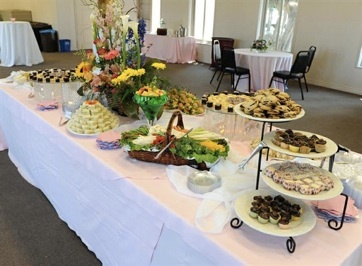 We meet with brides, grooms and their families to discuss their special menu requests....from incorporating a favorite aunt’s recipe into our menu to having lots of plain rolls for the children...we create a menu that is tasty and unique. 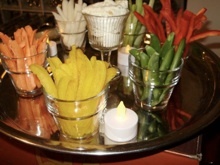 Tastings are available with a signed contract for our services. 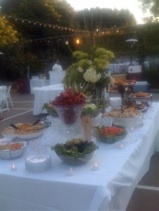 At a time that is emotional and can be very stressful, Bettina’s Custom Catering, Inc. is available to help with Celebration of Life receptions. Our trained staff members are experienced with serving families during this difficult time. 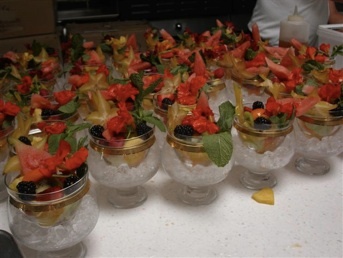 When there are so many other details to attend to, it is a comfort to have our professional team there to assist you in coordinating the celebration of your loved one’s life.